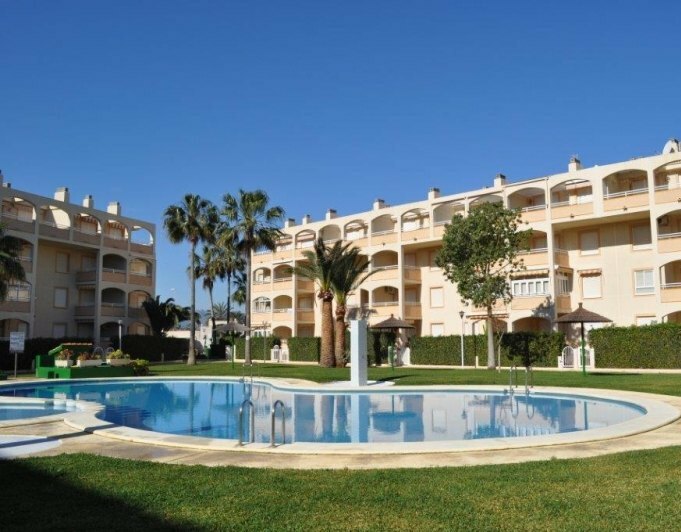 Nice apartment on the first floor in a quiet area of El Vergel, only 500m from the beach and 12 km from Dénia. Year of construction 2005 and in good condition. With panoramic views and from the terrace even with sea views. The living area is distributed on one level, and in addition there is a solarium with a loft bedroom and a shower room. The living area is divided into an entrance hall, 1 livingdining room with American kitchen, laundry room, 2 bedrooms, 1 bathroom and a covered terrace. Additional extras are: TV, fitted wardrobes, 2 air conditioning (w + k), electric water boiler, PVC windows with double glazing and shutters, parking for 1 car. The property is furnished and sold with all electrical appliances. Plot for sale in Javea, with a superb location, very close to the beach, leisure areas, and services... the plot is virtually flat, it is fenced and with a covered parking area. Perfect to build a vacation home or residential. 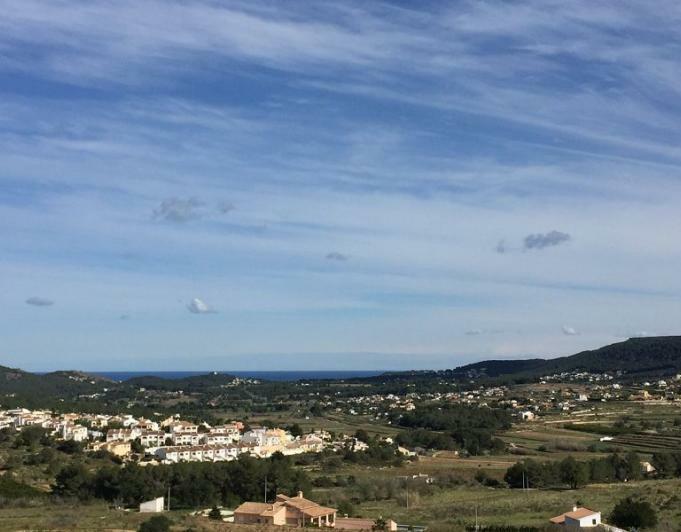 Plot with very good seaviews in in the area of Les fonts in Benitachell between Moraira and Javea, which is 2 km away with all ameniteis and supermarkets. 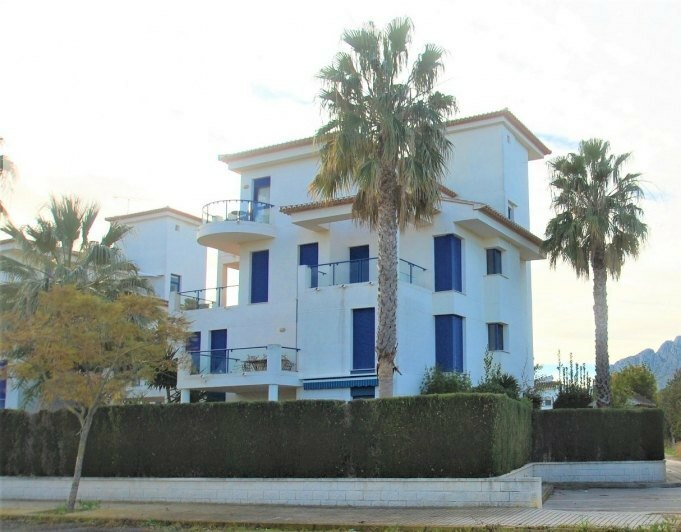 Nice terraced house located just 1.2 km from the center of Denia and 600 meters from the sea. It is located within a gated complex with pool and large green areas.The house has two levels; on the ground floor we find the livingdining room with fireplace, american kitchen, a guest bathroom and access to the terrace and common areas of the complex. On the first floor are the two bedrooms and another bathroom. The house has air conditioning with splits in all rooms and storage. Recently painted. 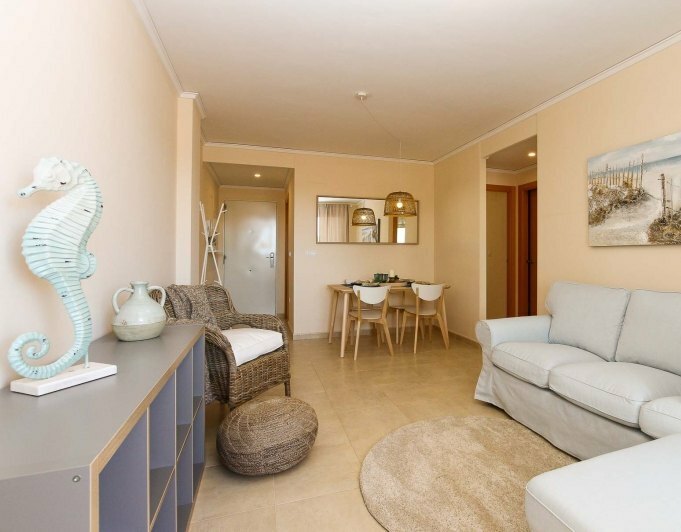 Centrally located apartment in the beach, a few metres from the promenade and the leisure area. Recently renovated; very practical and well distributed; It has bright living/dining room, equipped kitchen, a bathroom and three bedrooms. With parking included. Ideal as an investment and for holidays. Newly renovated duplex located in residential area only 2 km from the centre of Denia.On the ground floor is a spacious living room with fireplace, kitchen open to the living room, a bathroom and a large terrace of 30 m². On the upper floor there are two bedrooms with high ceilings and beams of wood and another full bathroom. Both the living room and the master bedroom boast air conditioning.Ideal for living all year round for holiday area. Beautiful townhouse in the Malibu Beach residence in Oliva Nova. Just a step from the golf course and a few minutes away from the beach. It consists of two bedrooms, a bathroom, livingdining room and closed kitchen. The house has a private, bright and sunny plot and access to a communal swimming pool with large garden areas as well as private parking in front of the property. 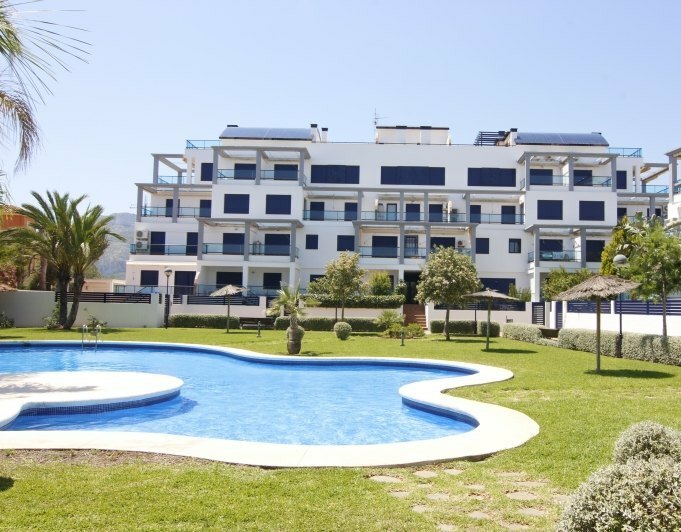 Ground floor apartment in a modern and colorful urbanization of El Vergel, built in 2009, very close to the beach (only 1 km) and as new. Distributed all on one level, it has: an entrance hall, 2 bedrooms, 1 bathroom with shower and bathtub, a living/dining room, an open kitchen and a covered terrace. Extras included: fitted wardrobes, 1 air conditioning unit (h / c), electric water heater, doubleglazed PVC windows with double glazing, blinds, mosquito nets and security grills, and 1 parking space. 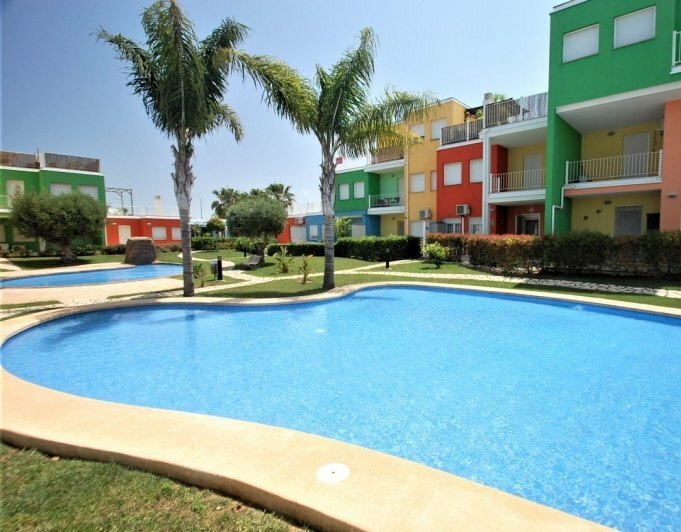 The community has 4 swimming pools, outdoor showers and beautiful garden areas, with a cost of € 480 / year. The property is sold without furniture but with electrical appliances. Ask us for more information without obligation!